About a month ago, the internet was set alight with a wholly unsubstantiated rumour that the new Alfa Giula QV had done a 7m49s laptime of the Nordschleife. I rolled my eyes and ignored it. 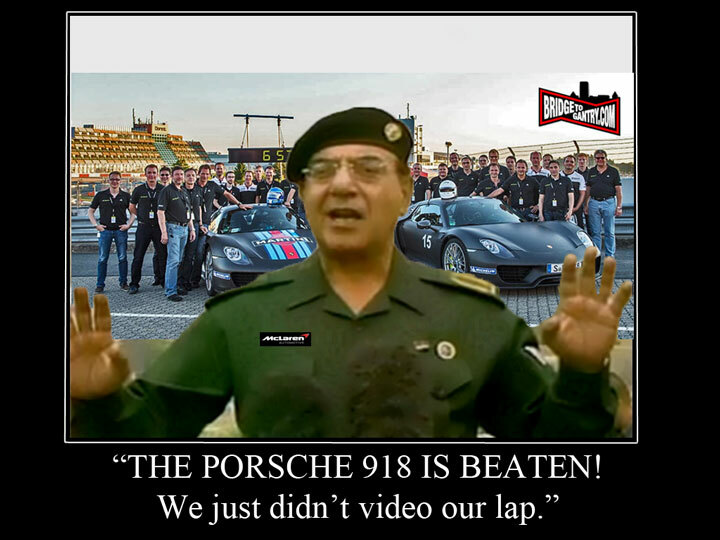 But now, thanks to this week’s official dog-and-pony show at Frankfurt, I face the even more remarkable rumour that it’s done a 7m39s full lap of the Nürburgring Nordschleife. And I can’t bite my tongue (or typing fingers) any longer. 1. SHOW ME THE VIDEO, OR G.T.F.O. No video, no proof, no laptime. Sector times, interpreted data and drunken tales from the Pistenklause are all very good. But if you’re going to claim the laptime, at least show us the full lap, onboard, no editing. Porsche know what I’m talking about. McLaren’s efforts to convince us that the P1 was nearly 30 seconds a lap faster can be summed up by my period photoshop from the original article. Next problem. A headline-grabbing concept that really got my goat was when CarThrottle did one of those silly ‘NUMBER OF THINGS MULTIPLIED BY KEYWORD STATISTIC’ headlines. To be more specific, it was “8 things the NEW HONDA CIVIC is faster than at the NÜRBURGRING”, or something. Maybe I can blame the simplicity of Top Gear’s Test Track for dumbing us all down, but this really irks me. For example, when a manufacturer sets a laptime, they will often spend days, weeks or even MONTHS testing and optimising the car. Their hot-shoe Pro-Driver (normally a real specialist) will be so dialled into the car that any other equally talented (but less dialled in) driver wouldn’t stand a chance. I’m talking about Suzuki-san in the GTR, Dom Farnbacher in the Viper ACR or Marc Lieb in the 918. They’re all here. You CANNOT compare these laptimes with SportAuto’s SuperTest. Quite often these are standard cars and the only warm-up the driver gets is a couple of laps of touristenfahrten before he gets 10 minutes to himself (1 lap!) at the end of the day. So, in short, saying that the new Alfa QV is faster than a Lamborghini Murc’ SV is about as useful as declaring that a Rent4Ring Swift is clearly superior to a Porsche GT3.RS, just because you overtook one last night. Just because I enjoyed chasing a couple of engineers over the Nordschleife in my family estate car, doesn’t mean I hate Alfas. 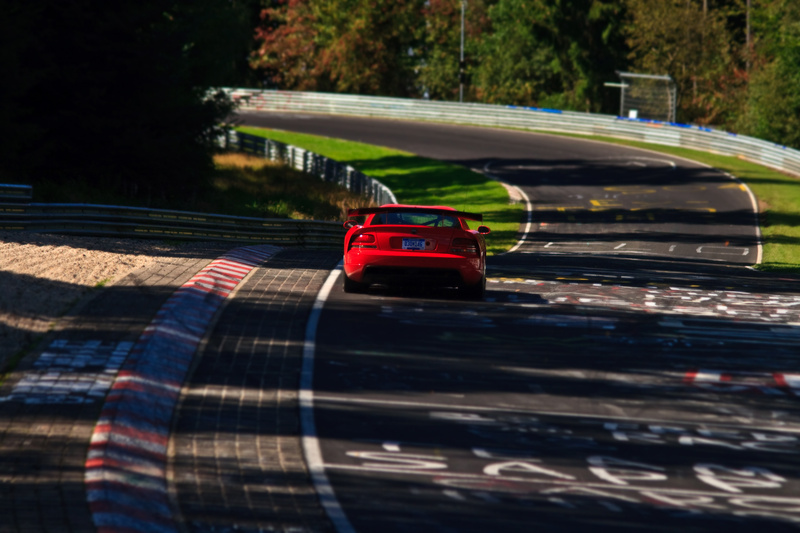 I can’t wait to see the onboard video of a 7m39s Alfa Romeo Nürburgring lap. But until I do, I will keep rolling my eyes and ignoring the PR machine. Previous PostZ24h: Wet and wildNext PostBIG QUESTION: Hide the public crashes? Or show them to the world?